Ms. Gorla Rohini born in Vishakhapatnam Andhra Pradesh was unknown to the world till the day she became the first woman chief justice of Delhi High Court in India. Education was restricted to woman in that period in India when she completed her graduation in Law with first class from Osmania University. Woman were considered to be hidden inside home she broke those hinders and completed her high school and proceeding with degree in Law. Completing her degree at the age of 21 facing several challenges in the community and at home she registered herself as an advocate in 1980 and joined Sri Koka Raghava Rao who was the Advocate, and state Bar council chairman of Andhra Pradesh. She strived for her career growth right from the beginning. She joined as a reporter initially for Andhra Pradesh Law journals for which Sri Koka Raghava Rao was the founder and chief editor. 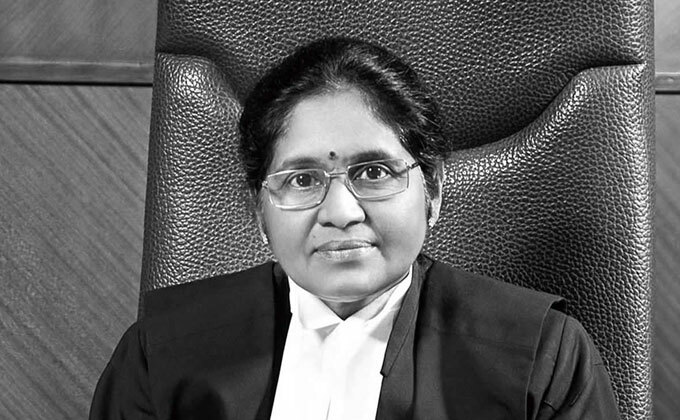 She practiced law mostly in Andhra Pradesh region; she also appeared in Tribunals and Civil court cases. Being a woman she actively took part in cases involving working women and girl child killing cases which is very common in several regions of India. She strived for a good growth in career in a place where woman were not given the right to go outside and work. In medieval period, women were not even allowed to speak to outsiders it was considered to be against their culture and conditions. Being an advocate she had to face several men at work place and handle cases involving criminals which many parents won’t allow considering the safety of their child. She had a good career growth being appointed as the government pleader in Andhra Pradesh High court in 1995 and she was working till she reached bench court. Being appointed as government pleader she attended cases for Department of Food and Civil supplies, science and technology, Environment, Irrigation, consumer Affairs, command area development, finance and planning, Employment and training, Energy labour and many other fields related to government of Andhra Pradesh. She achieved her position as high court judge of Andhra Pradesh and later on appointed as permanent judge in 2002. She holds the honor for being chosen as first woman chief justice of Delhi high court India and was sworn in as Chief Justice on April 21, 2014 . Although women are given education and rights to work equally among men, they were restricted from occupying major positions in India. She broke those restrictions and became the first woman chief justice in India, thus motivating woman to achieve higher positions and give their part in improvement of the country.